Characters are from these books. 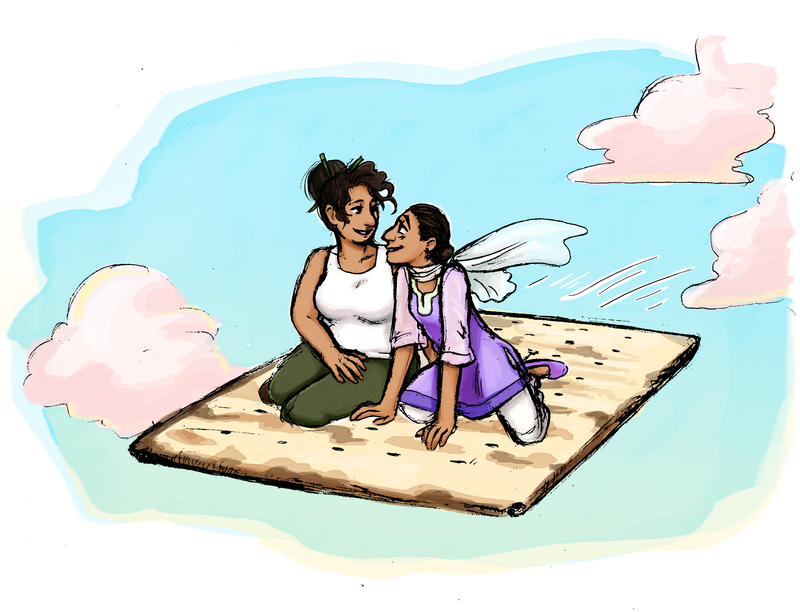 This entry was posted in Uncategorized and tagged afikoman, afikomen, bisexual, femslash, glbt, jewish, jewish holidays, lesbian, lgbt, matzo, passover, pesach, queer, qwoc, seder. Bookmark the permalink.